take garlic paste into a small bowl and add 1-2 tables spoons of rose water into it. Let the paste sit for 5-10 minutes, as the juice from garlic gets down into the paste. Apply the juice of it on your face and keep garlic paste on pimples. 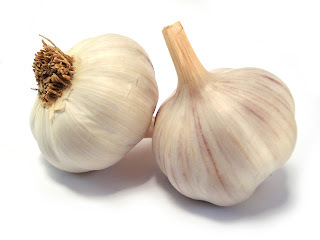 People who are free from burning sensation,they can directly apply garlic paste to their face . Garlic has many useful tool against the bacteria that causes pimples . Crushed garlic placed on the affected area will kill the bacteria, but watch those eyes. When you place the garlic on, it may sting a bit, but just keep thinking that the sting is part of the garlic working. Allow the garlic to sit on your face for a few minutes, then rinse off and pat dry. It also plays major role in beauty. It also reduces acne marks. You can repeat this mask two or three times a week. where do i find rose water? How do you call rose water in spanish? Acne’s amazing don’t get me wrong BUT when YOU style and wear acne, YOU make acne look like God’s fashion line. Great job.